A man with many passions is bound to settle on one as his livelihood. As a youth, Robert E. Cartwright, Jr., had his share of career options and eventually discovered that, for him, plaintiff law would be more than just an occupation. It would be his calling. Although he wasn’t aware of it at the time, Cartwright’s passion for law began to develop when he was a mere child listening to his father talk about cases at dinner time. Before that realization, Cartwright toyed with the idea of becoming an architect, but found the work rather tedious – “…the creative part of architecture wasn’t all it was cracked up to be,” he said. At another juncture, he was set on becoming a rock drummer – he played in a band for a few years – but again found the creative aspect to be minimal. During that time, Cartwright began working part-time at his father’s law firm. 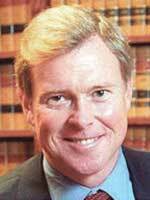 Today, Cartwright runs his own firm in San Francisco and is an authority on personal injury and products liability. He’s tried and won dozens of cases; he addresses large audiences of his peers; he tutors and mentors law students; he’s written numerous articles; he’s even occasionally provided legal commentary for the FOX National News television broadcast. The public speaking and coaching skills may seem to come naturally to Cartwright, but those who know him well know better. And Cartwright still possesses a zeal akin to the pupils he instructs. “He’s open to learning new things despite the fact that he’s very experienced,” Wyle added. One case Cartwright is particularly proud of involved a client whose hand had been severed by a radial arm saw. On behalf of Henry Dendy, Cartwright sued the retailer, Sears Roebuck & Co., and the manufacturer, Emerson Electric, claiming the saw lacked proper warnings and a lower blade guard (Dendy v. Sears Roebuck & Co., et al, 1990 (unpublished).) The defense made no settlement offer; it had yet to lose in 25 prior cases involving similar circumstances. Cartwright, however, found evidence of hundreds of incidents involving the product and produced video simulations of how a blade guard would prevent accidental amputations such as the one Dendy sustained (his hand was surgically reattached). The result, after nine years of litigation, was a $5.1 million verdict, later affirmed by the California Court of Appeal. But the most significant victory in Cartwright’s mind was in convincing the Consumer Product Safety Commission to recall the defective saws and order a product redesign from the manufacturer that included a blade guard. “That’s one case where I really felt like I made a difference,” he said. More recently, Cartwright was instrumental in helping achieve the largest settlement in drug litigation history, a $4.85 billion agreement between drug-maker Merck and more than 20,000 plaintiffs nationwide. In 2002, The Cartwright Law Firm was one of the first to file a products liability suit against Merck for its drug Vioxx and Cartwright served on the Plaintiff’s Steering Committee for the case’s California coordinated actions. A Bay Area native, Cartwright grew up attending all the major conventions with his father, who served as president of the American Trial Lawyers Association (now the American Association for Justice) and the California Trial Lawyers Association (now Consumer Attorneys of California). From age six, he missed only “maybe one or two” conventions, Cartwright recalled, and along the way made friends with “a great number” of second-generation lawyers-to-be from around the country, including Caesar Belli and George Choulos. “We would explore the hotels, find all the little back ways around the building, play in the elevators – just that sort of innocent mischief,” he said. That said, Cartwright has shown through the years that he doesn’t subscribe to an all-work, no-play philosophy. Once very active as a runner, mountain climber and race car driver, the 53-year-old has been forced to slow down a bit outside the office, although he still rides motorcycles, hikes and occasionally skis. He also recently dusted off his drum set, saying he’s thinking seriously of joining a workshop that eventually will lead to weekend gigs.